Sai Baba - meherbabatravels jimdo page! 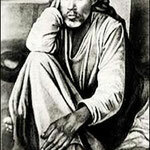 Meher Baba stated " that once a Perfect Master dies ( such as Sai Baba of Shirdi ), there is no more rebirths. They have attained perfection ". In recent times, others have emerged to claim that they were the reincarnation of previous Perfect Masters. Obviously, it's not posssible. Even though, some attain popular fame globally, they are still not genuine. 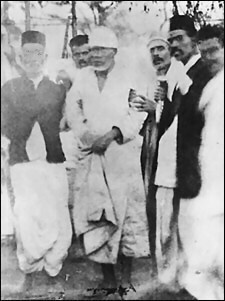 Sai Baba of Shirdi (Unknown – October 15, 1918), also known as Shirdi Sai Baba (Marathi: शिरडीचे साईबाबा, Hindi: शिरडीके साईबाबा, Telugu: షిర్డీ సాయి బాబా), was an Indian guru, yogi and fakir who is regarded by his Hindu and Muslim followers as a saint. Some of his Hindu devotees believe that he was an incarnation of Shiva or Dattatreya. Many devotees believe that he was a Sadguru. There are many stories and eyewitness accounts of miracles he performed. He is a well-known figure in many parts of the world, but especially in India, where he is much revered. The name 'Sai Baba' is a combination of Persian and Indian origin; Sāī (Sa'ih) is the Persian term for "well learned" or "knowledgeable", usually attributed to Islamic ascetics, whereas Baba (honorific) is a word meaning "father; grandfather; old man; sir" used in Indo-Aryan languages. 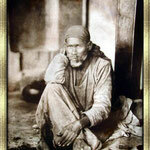 The appellative thus refers to Sai Baba as being a "holy father" or "saintly father". 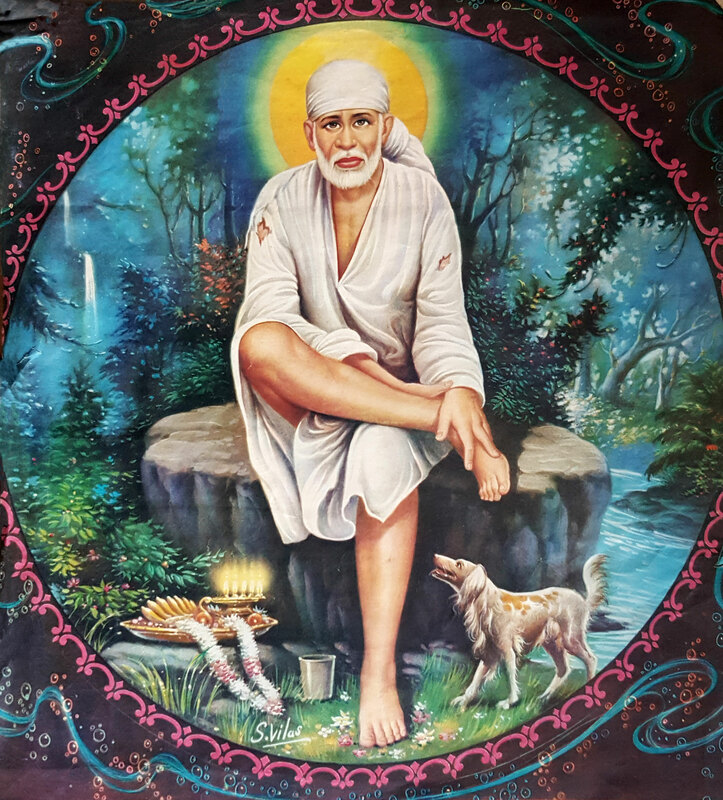 His parentage, birth details, and life before the age of sixteen are obscure, which has led to a variety of speculations and theories attempting to explain Sai Baba's origins. In his life and teachings he tried to reconcile Hinduism and Islam: Sai Baba lived in a mosque which he called Dwarakamayi, practiced Hindu and Muslim rituals, taught using words and figures that drew from both traditions and was buried in a Hindu temple in Shirdi. One of his well known epigrams says of God: "Sabka Malik Ek Hai" ("One God governs all") which traces its root to the Bhagavad-Gita and Islam in general, and Sufism, in particular. He always uttered "Allah Malik" ("God is Master"). He had no love for perishable things, and was always engrossed in self-realization, which was his sole concern. Sai Baba taught a moral code of love, forgiveness, helping others, charity, contentment, inner peace, devotion to God and guru. His teachings combined elements of Hinduism and Islam and tried to achieve communal harmony between these religions. 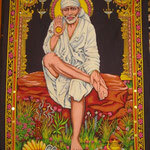 Sai Baba remains a very popular saint and is worshipped by people around the world. Debate over his Hindu or Muslim origins continues to take place. 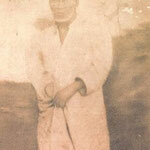 He is also revered by several notable Hindu and Sufi religious leaders.[who?] 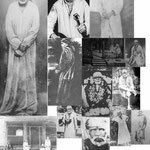 Some of his disciples received fame as spiritual figures and saints such as Upasni Maharaj, Meher Baba, Saint Bidkar Maharaj, Saint Gangagir, Saint Jankidas Maharaj and Sati Godavari Mataji. 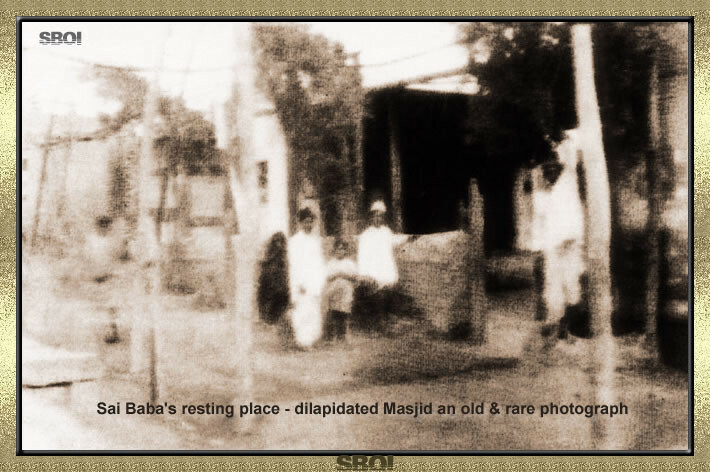 Where and when Sai Baba was born in Pathari (Dist Parbhani, India), but various communities have claimed that he belongs to them. Nothing has been substantiated, however. It is known that he spent considerable periods with fakirs. 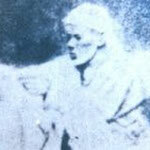 His attire resembled that of a Muslim fakir. 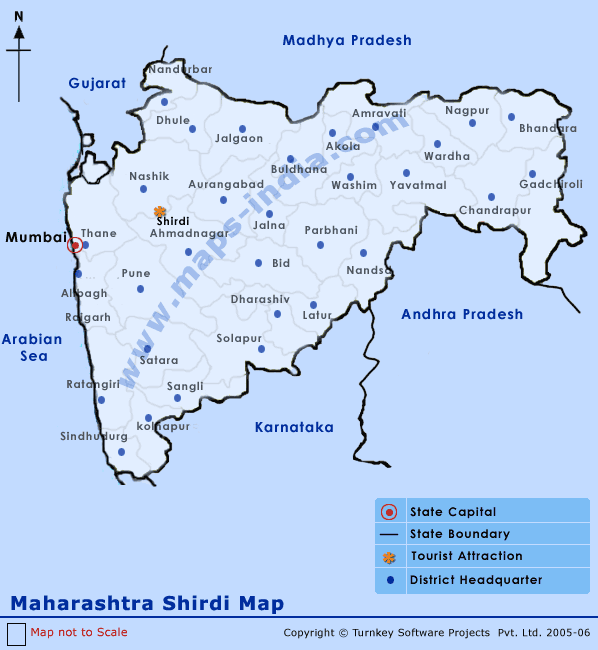 Baba reportedly arrived at the village of Shirdi in the Ahmednagar district of Maharashtra, India, when he was about 16 years old. 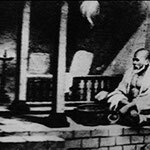 Although there is no agreement among biographers on the date of this event, it is generally accepted that Baba stayed in Shirdi for three years, disappeared for a year and returned permanently around 1858, which posits a possible birth year of 1838. The people of the village were wonder-struck to see such a young lad practicing hard penance, not minding heat or cold. By day he associated with no one, by night he was afraid of nobody. His presence attracted the curiosity of the villagers, and the religiously-inclined such as Mhalsapati, Appa Jogle and Kashinatha regularly visited him, while others such as the village children considered him mad and threw stones at him. 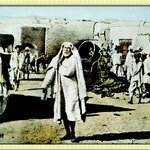 After some time he left the village, and it is unknown where he stayed at that time or what happened to him. 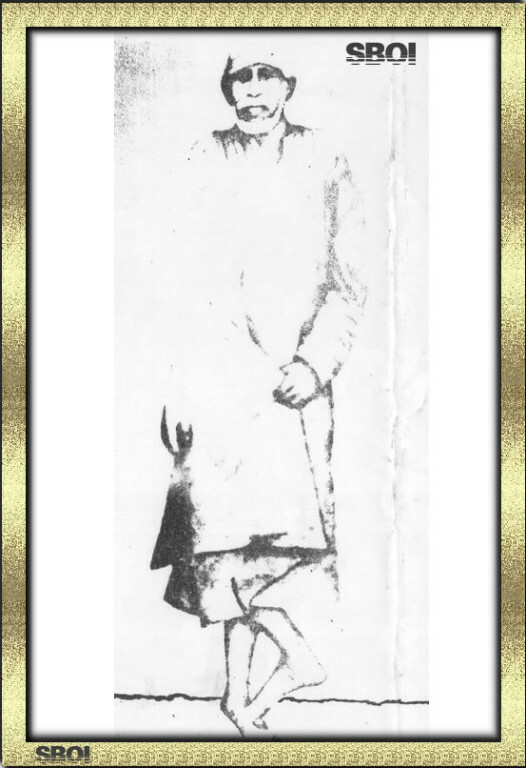 However, there are some indications that he met with many saints and fakirs, and worked as a weaver; he claimed to have fought with the army of Rani Lakshmibai of Jhansi during the Indian Rebellion of 1857. 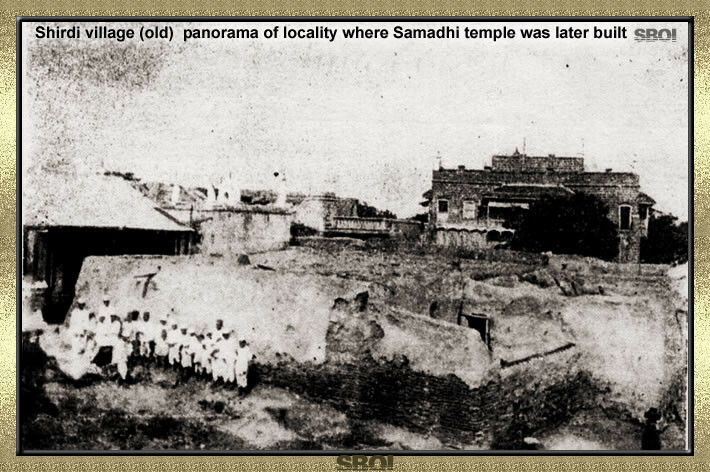 In 1858 Sai Baba returned to Shirdi with Chand Patil's wedding procession. After alighting near the Khandoba temple he was greeted with the words "Ya Sai" (Marathi:welcome saint) by the temple priest Mhalsapati. 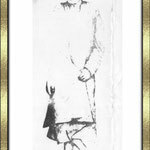 The name Sai stuck to him and some time later he started being known as Sai Baba. 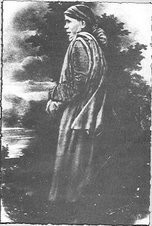 It was around this time that Baba adopted his famous style of dress, consisting of a knee-length one-piece robe (kafni) and a cloth cap. Ramgir Bua, a devotee, testified that Baba was dressed like an athlete and sported 'long hair flowing down to his buttocks' when he arrived in Shirdi, and that he never had his head shaved. 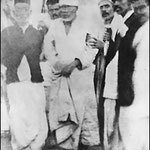 It was only after Baba forfeited a wrestling match with one Mohdin Tamboli that he took up the kafni and cloth cap, articles of typically Sufi clothing. 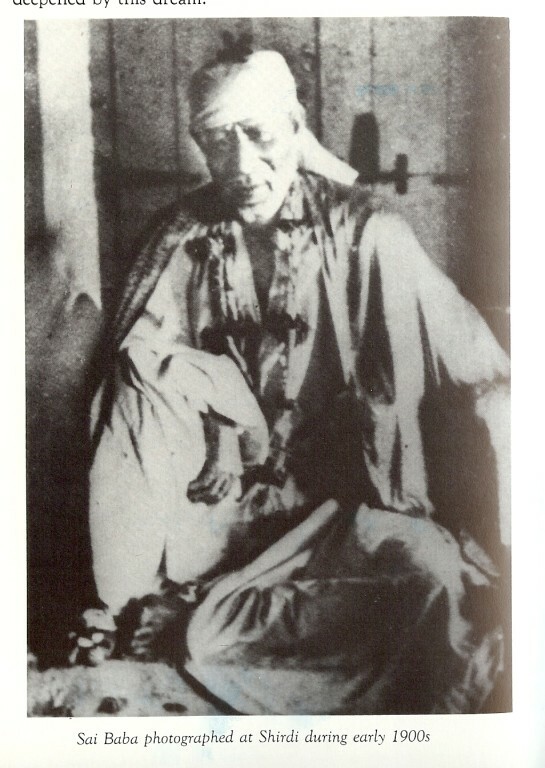 This attire contributed to Baba's identification as a Muslim fakir, and was a reason for initial indifference and hostility against him in a predominantly Hindu village. 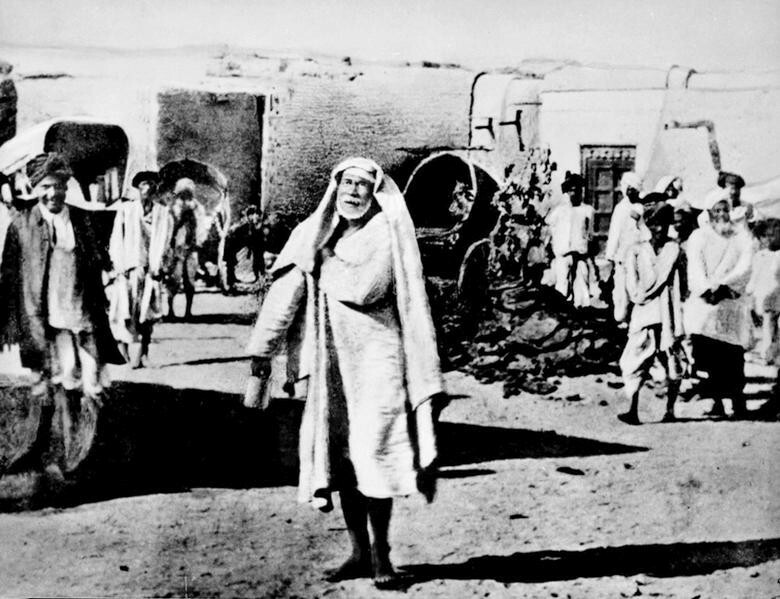 According to B.V. Narasimhaswami, a posthumous follower who was widely praised as Sai Baba's "apostle", this attitude was prevalent even among some of his devotees in Shirdi, even up to 1954. 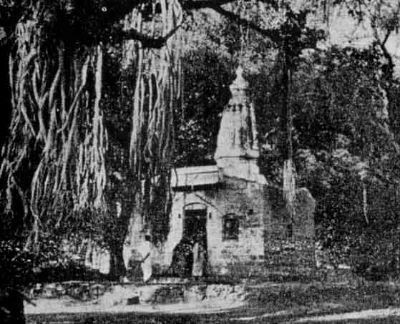 For four to five years Baba lived under a neem tree, and often wandered for long periods in the jungle in and around Shirdi. His manner was said to be withdrawn and uncommunicative as he undertook long periods of meditation. 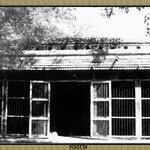 He was eventually persuaded to take up residence in an old and dilapidated mosque and lived a solitary life there, surviving by begging for alms and receiving itinerant Hindu or Muslim visitors. In the mosque he maintained a sacred fire which is referred to as a dhuni, from which he had the custom of giving sacred ash ('Udhi') to his guests before they left and which was believed to have healing powers and protection from dangerous situations. At first he performed the function of a local hakim and treated the sick by application of Udhi. Baba also delivered spiritual teachings to his visitors, recommending the reading of sacred Hindu texts along with the Qur'an, especially insisting on the indispensability of the unbroken remembrance of God's name (dhikr, japa). He often expressed himself in a cryptic manner with the use of parables, symbols and allegories. He participated in religious festivals and was also in the habit of preparing food for his visitors, which he distributed to them as prasad. 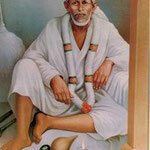 Sai Baba's entertainment was dancing and singing religious songs (he enjoyed the songs of Kabir most). His behavior was sometimes uncouth and violent. 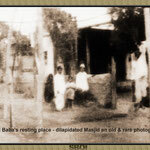 After 1910 Sai Baba's fame began to spread in Mumbai. Numerous people started visiting him, because they regarded him as a saint (or even an avatar) with the power of performing miracles. 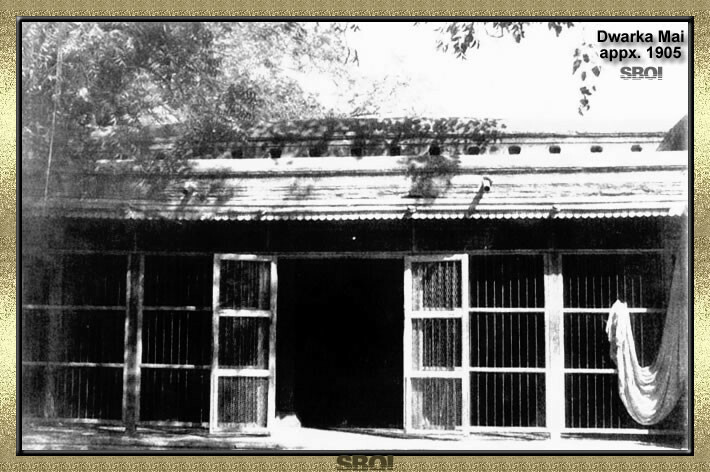 and they built his first ever temple at Bhivpuri, Karjat as desired by Sai Baba. Sai Baba left behind no spiritual heirs and appointed no disciples. In fact, he did not even provide formal initiation (diksha), despite requests from some of his devotees. 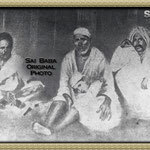 Some disciples of Sai Baba achieved fame as spiritual figures like Upasni Maharaj of Sakori and Meher Baba of Ahmednagar. 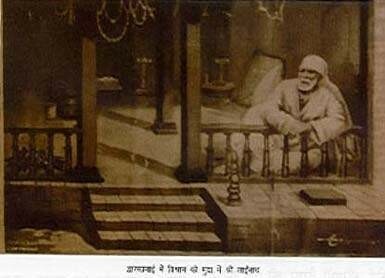 After Sai Baba died (** dropped his body ), his devotees offered the daily Aarti to Upasani Maharaj when he paid a visit to Shirdi, two times with an interval of 10 years. **This insertion was done by the webmaster of this web site ie. 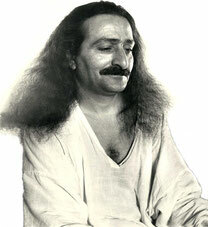 Meher Baba Travels. 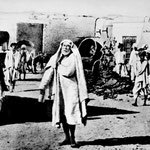 In his personal practice, Sai Baba observed worship procedures belonging to Hinduism and Islam; he shunned any kind of regular rituals but allowed the practice of namaz, chanting of Al-Fatiha, and Qur'an readings at Muslim festival times. Occasionally reciting the Al-Fatiha himself, Baba also enjoyed listening to moulu and qawwali accompanied with the tabla and sarangi twice daily. He also wore clothing reminiscent of a Sufi fakir. Sai Baba also opposed all sorts of persecutions on religious or caste background. Sai Baba was also an opponent of religious orthodoxy - both Hindu and Muslim. 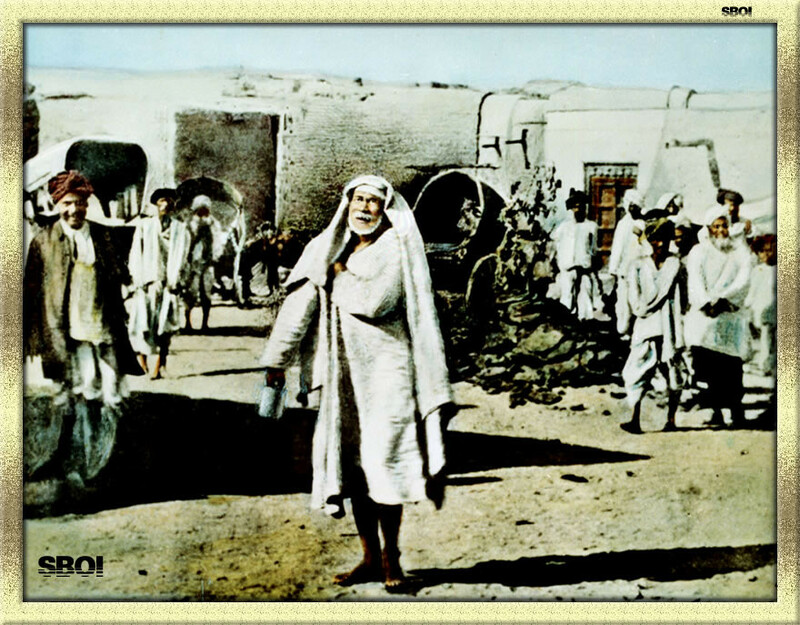 Although Sai Baba himself led the life of an ascetic, he advised his followers to lead an ordinary family life. Sai Baba encouraged his devotees to pray, chant God's name and read holy scriptures - he told Muslims to study the Qur'an, and Hindus, texts like the Ramayana, Vishnu Sahasranam, Bhagavad Gita (and commentaries to it), Yoga Vasistha. He advised his devotees and followers to lead a moral life, help others, love every living being without any discrimination, treat them with love and develop two important features of character: faith (Shraddha) and patience (Saburi). He also criticized atheism. 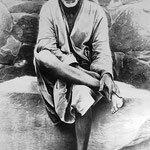 In his teachings Sai Baba emphasized the importance of performing one's duties without attachment to earthly matters and being ever content regardless of the situation. 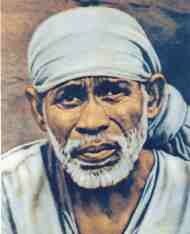 Sai Baba also interpreted the religious texts of both faiths. According to what the people who stayed with him said and wrote he had a profound knowledge of them. He explained the meaning of the Hindu scriptures in the spirit of Advaita Vedanta. This was the character of his philosophy. It also had numerous elements of bhakti. 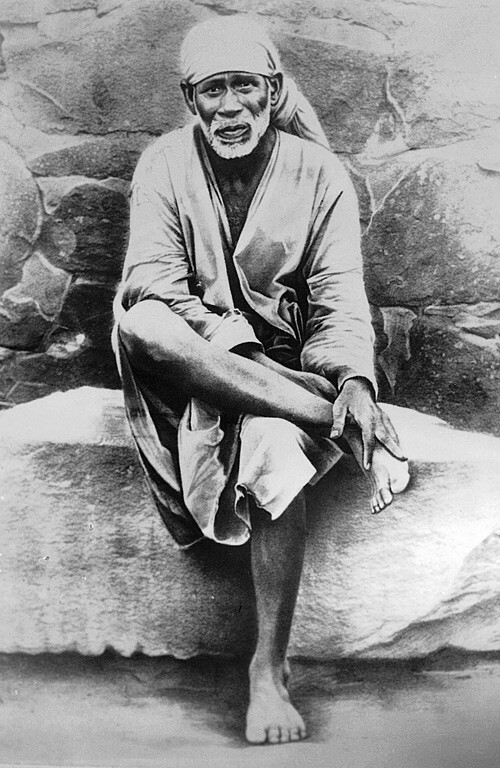 The three main Hindu spiritual paths - Bhakti Yoga, Jnana Yoga and Karma Yoga - were visible in the teachings of Sai Baba. 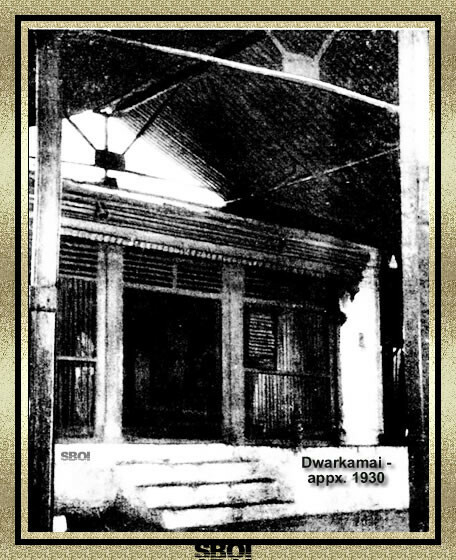 Another example of the way he combined both faiths is the Hindu name he gave to his mosque, Dwarakamai. Sai Baba said that God penetrates everything and lives in every being, and as well that God is the essence of each of them. He emphasized the complete oneness of God which was very close to the Islamic tawhid and the Hindu doctrine, e.g. of the Upanishads. 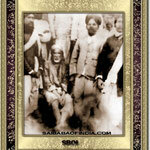 Sai Baba said that the world and all that the human may give is transient and only God and his gifts are eternal. 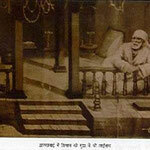 Sai Baba also emphasized the importance of devotion to God - bhakti - and surrender to his will. He also talked about the need of faith and devotion to one's spiritual preceptor (guru). He said that everyone was the soul and not the body. He advised his disciples and followers to overcome the negative features of character and develop the good ones. He taught them that all fate was determined by karma. Sai Baba left no written works. His teachings were oral, typically short, pithy sayings rather than elaborate discourses. Sai would ask his followers for money (dakshina), which he would give away to the poor and other devotees the same day and spend the rest on buying wood to maintain Dhuni. According to his followers he did it in order to rid them of greed and material attachment. 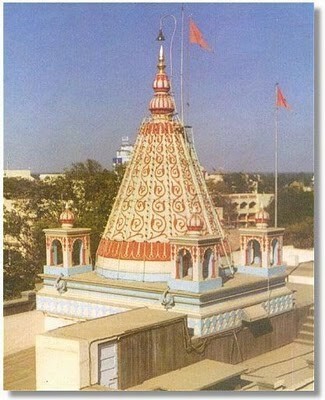 The wretched and miserable will rise to joy and happiness as soon as they climb the steps of Dwarakamai (Mosque). 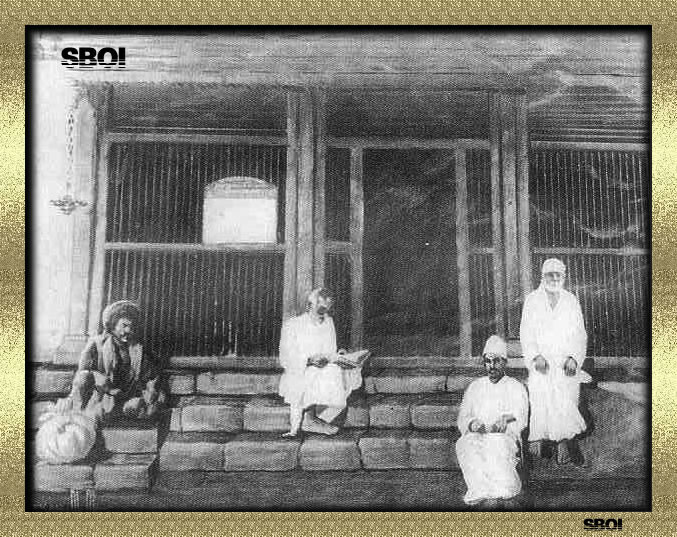 The Shirdi Sai Baba movement began in the 19th century, during his life, while he was staying in Shirdi. 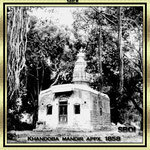 A local Khandoba priest - Mhalsapathy - is believed to have been his first devotee. 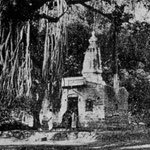 However, in the 19th century Sai Baba's followers were only a small group of Shirdi inhabitants and a few people from other parts of India. 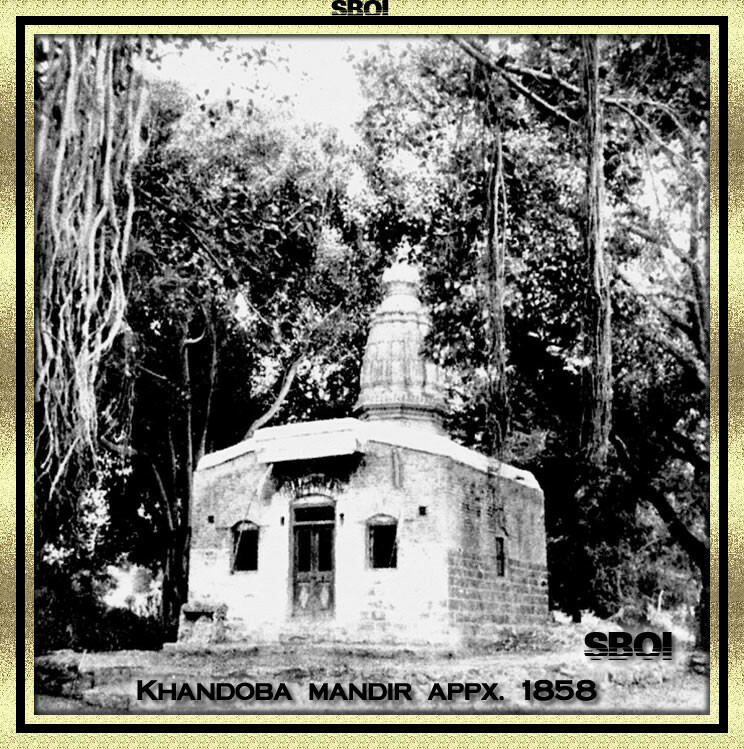 It started developing in the 20th century and even faster in 1910 with the Sankirtans of Das Ganu (one of Sai's devotees) who spread Sai Baba's fame to the whole of India. 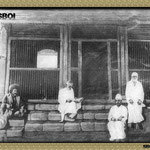 Since 1910 numerous Hindus and Muslims from all parts of India started coming to Shirdi. During his life Hindus worshipped him with Hindu rituals and Muslims revered him greatly, considering him to be a saint. 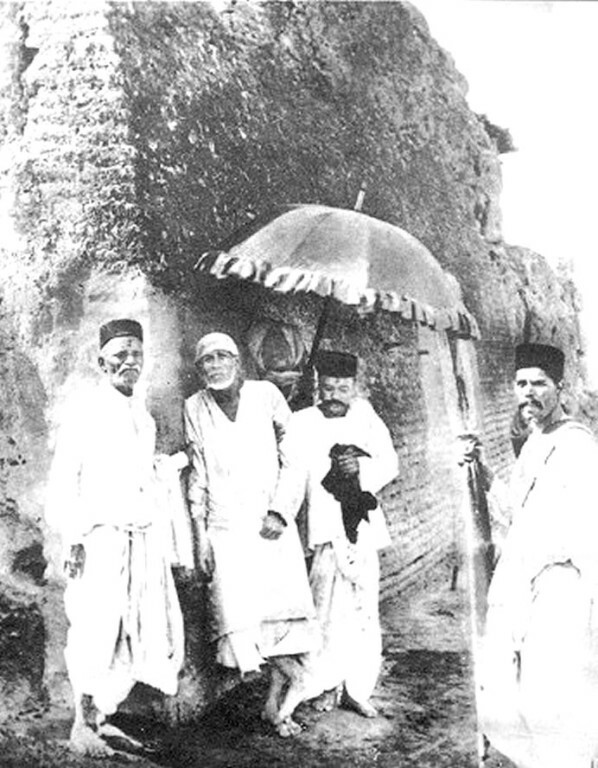 Later (in the last years of Sai Baba's life) Christians and Zoroastrians started joining the Shirdi Sai movement. 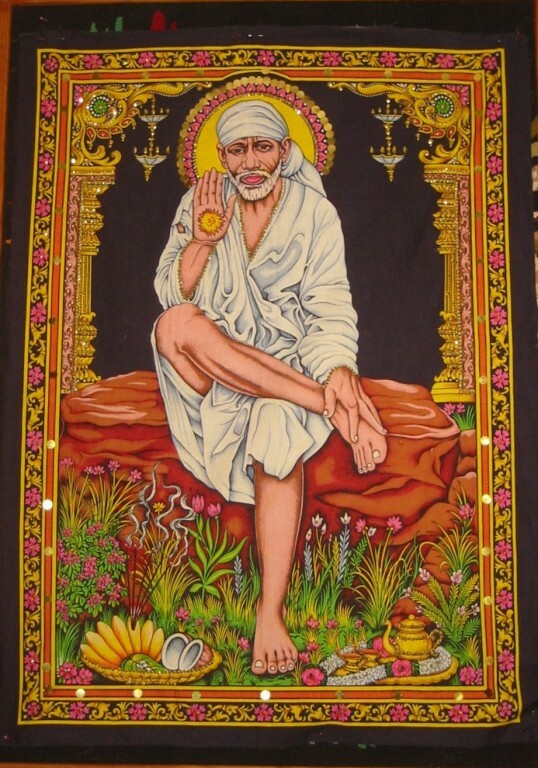 The Sai Baba mandir in Shirdi is active and every day worship of Sai is conducted in it. 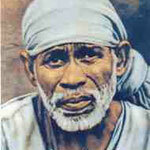 Pilgrims visit Shirdi every day. 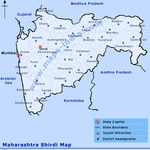 Shirdi Baba is especially revered and worshipped in the state of Maharashtra and in Gujarat. 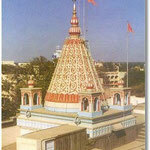 A religious organization of Sai Baba's devotees called the Shri Saibaba Sansthan Trust is based there. 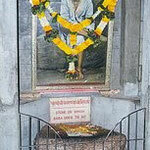 The first ever Sai Baba temple is situated at Bhivpuri, Karjat. According to estimates the Sai mandir in Shirdi is visited by around twenty thousand pilgrims a day and during religious festivals this number amounts to a hundred thousand. Nana Chandorkar: Deputy Collector – legend has it that Baba saved his daughter from labor complications). 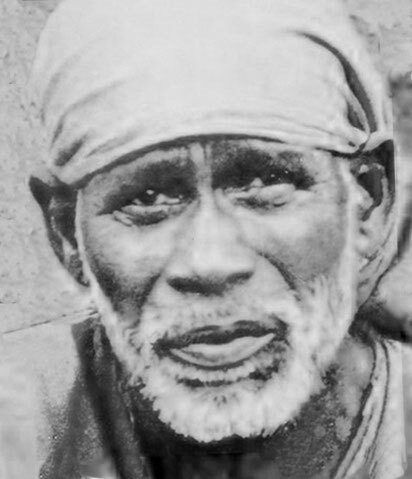 Mhasalapathi: Priest of Khandoba Temple in Shirdi. He is the first one to have addressed Baba as Sai Baba. Ganapathi Rao: Popularly known as Das Ganu, police Constable, later resigned to become an ascetic. 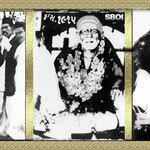 Tatya Patil: Ganapathi Rao's son had immense faith in Sai Baba and served him until Sai Baba died. 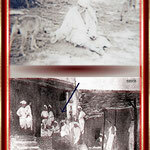 Sai Baba's millions of disciples, followers and devotees believe that he had performed many miracles. Some of them were: bilocation, exorcisms, curing the incurably sick, helping his devotees in need in a miraculous way, reading the minds of others. 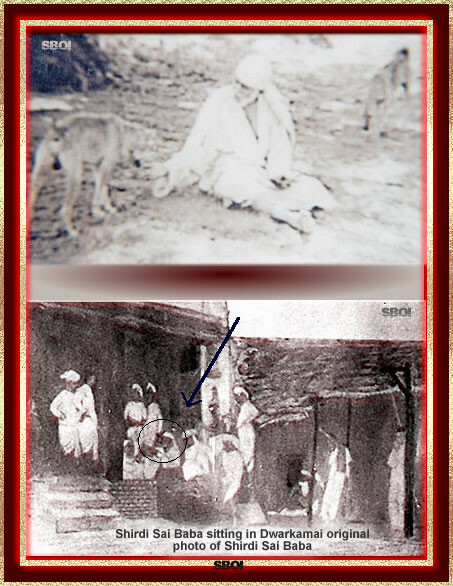 Numerous inhabitants of Shirdi talked about these miracles. Some of them even wrote about them in books. They talked and wrote about how they (and others) were the witnesses of his unusual Yogic powers: levitation, entering a state of Samādhi at wish, even removing his limbs and sticking them back to his body (Khanda Yoga) or doing the same with his intestines. 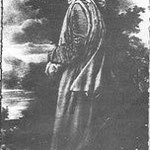 According to his followers he appeared to them after his death, in dreams, visions and even in bodily form, whence he often gave them advice. His devotees have many stories and experiences to tell. Many books have been written on these events. 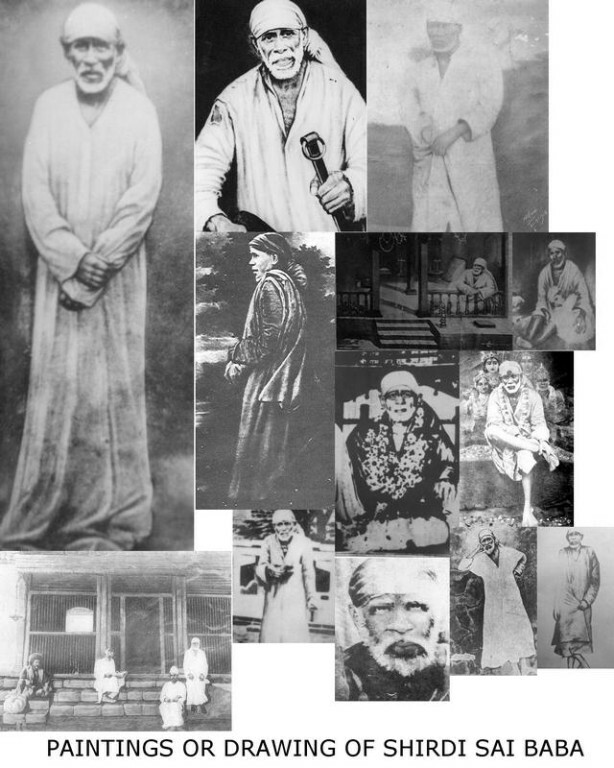 Biographers of Sai Baba (e.g. Govindrao Raghunath Dabholkar, Acharya Ekkirala Bharadwaja, Smriti Srinivas, Antonio Rigopolous) have based their writing on primary sources. One such source is the Shirdi Diary by Ganesh Shrikrishna Khaparde, which describes every day of the author's stay at Shirdi. 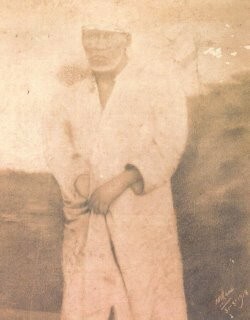 Speculation about the unknown episodes of Sai Baba's life are primarily based on his own words. 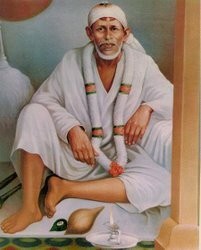 The most important source about Sai's life is the Shri Sai Satcharita, written in Marathi in 1916 by Govindrao Raghunath Dabholkar, whom Sai Baba nicknamed Hemadpant. Consisting of 50 chapters, it describes Baba's life, teachings and the various miracles he performed for his devotees. It describes how one should surrender one's egoism at God's feet and trust one's guru to carry one across the ocean of worldly existence. It explains how God is supreme and His devotees should trust Him and love Him with all their heart. It teaches that God is present in all forms - human, animal, insect and plant. Everything on this earth is a form of God and must be treated with love and respect. 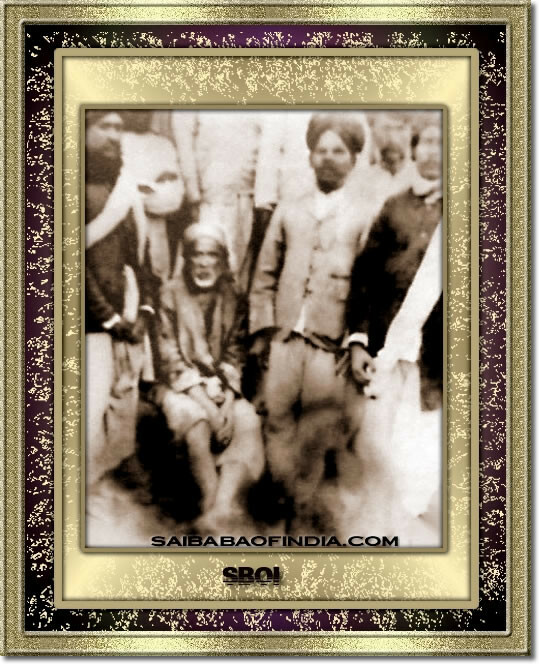 The book talks about Baba's lifestyle, and his selfless attitude and love towards his devotees. His love is compared to a mother's love: caring and loving when needed and reprimanding when a mistake is made. Other important sources about Sai Baba are books by B. V. Narasimhaswamiji such as Sri Sai Baba's Charters and Sayings or Devotee's Experiences of Sai Baba. 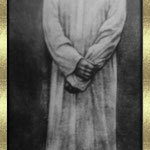 Sri Sai Baba and His Teachings by Acharya Ekkirala Bharadwaja is an in-depth study of Sai's life routine and activities. 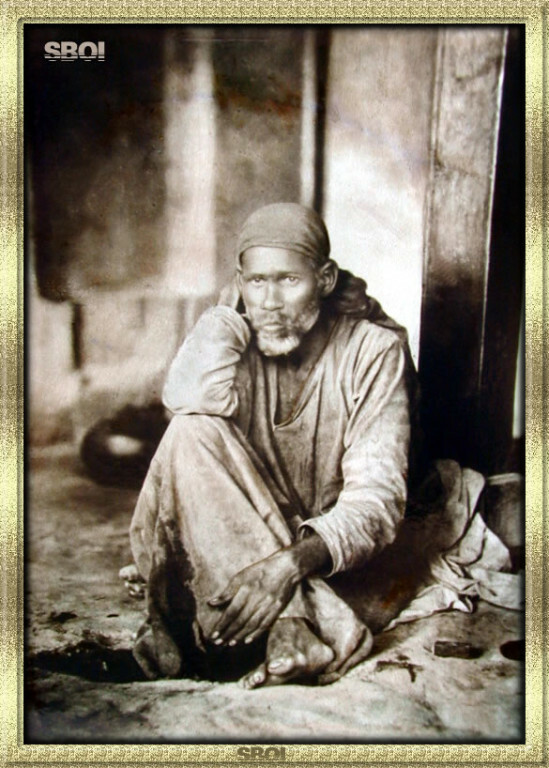 During Sai Baba's life, the Hindu saint Anandanath of Yewala declared Sai Baba a spiritual "diamond". Another saint, Gangagir, called him a "jewel". 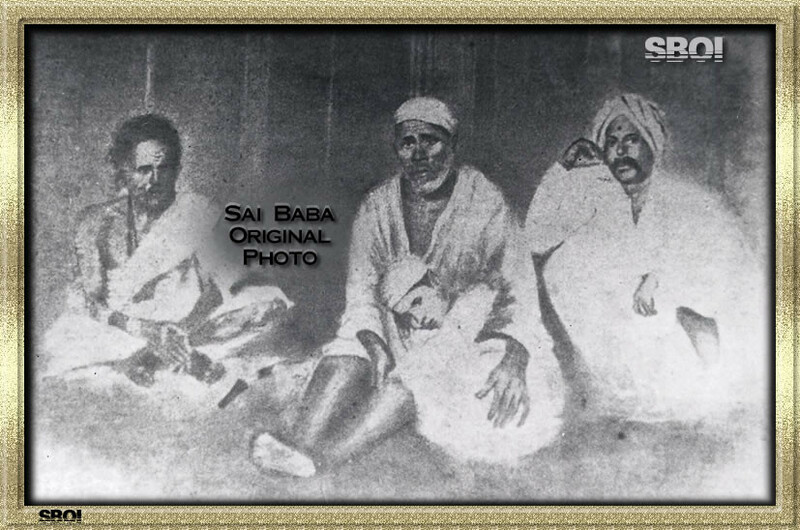 Sri Beedkar Maharaj greatly revered Sai Baba, and in 1873, when he met him he bestowed the title Jagadguru upon him. 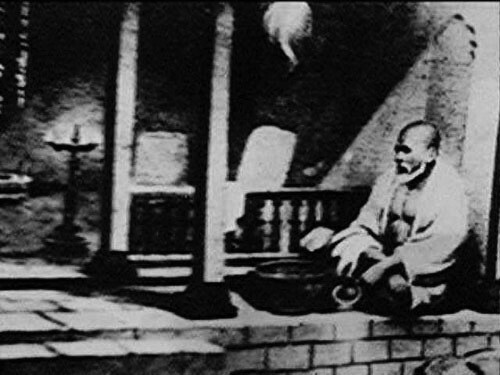 Sai Baba was also greatly respected by Vasudevananda Saraswati (known as Tembye Swami). 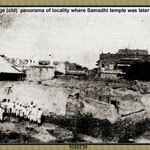 Sai of Shirdi was also revered by a group of Shaivic yogis, to which he belonged, known as the Nath-Panchayat. 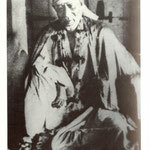 Sai Baba is considered a Pir by some Sufi groups. 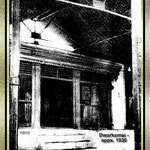 Meher Baba declared Baba to be a Qutub-e-Irshad - the highest of the five Qutubs, "Master of the Universe". 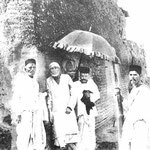 Baba is also worshipped by prominent Zoroastrians such as Nanabhoy Palkhivala and Homi Bhabha, and has been cited as the most popular non-Zoroastrian religious figure attracting the attention of Zoroastrians. 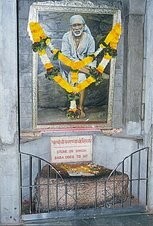 In India, in nearly every larger city there is at least one temple dedicated to Sai Baba. There are even some in towns and cities outside India. 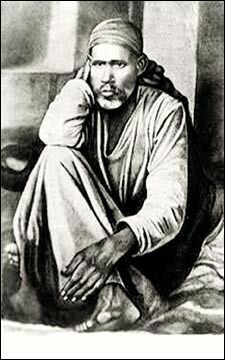 In the mosque in Shirdi in which Sai Baba lived there is a life-size portrait of him by Shama Rao Jaykar, an artist from Mumbai. Numerous monuments and statues depicting Sai Baba, which serve a religious function, have also been made. One of them, made of marble by a sculptor named Balaji Vasant Talim, is in the Samadhi Mandir in Shirdi where Sai Baba was buried. In Sai Baba temples, his devotees play various kinds of devotional religious music, such as aarti. Indian Postal Service released a commemorative stamp on Sai Baba on 20 May 2008. On July 30th 2009, the New and Renewable Energy Minister Farooq Abdullah inaugurated what has been acclaimed as the largest solar steam system in the world at the Shirdi shrine. The Shri Sai Baba Sansthan Trust paid an estimated Rs.1.33 crore for the system, Rs.58.4 lakh which was paid as a subsidy by the renewable energy ministry. It is said the system can cook 20,000 meals per day for pilgrims visiting the temple. 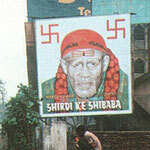 Sai Baba has been the subject of several feature films produced by India's film industry. 2005 Ishwarya Avatar Sai Baba Mukul Nag Ramanand Sagar Hindi Composite movie drawn from Sagar's TV serial, Sai Baba. 2008 Malik Ek Jackie Shroff Deepak Balraj Vij Hindi Expected release in 2008. Also featuring Manoj Kumar, Divya Dutta, Rohini Hattangadi, Zarina Wahab and Anup Jalota as Das Ganu. In the popular Hindi film Amar Akbar Anthony (1977), Rishi Kapoor playing the Muslim character Akbar sings "Shirdi Wale Sai Baba" in a temple. Laxmikant Pyarelal composed the music, Anand Bakshi wrote the lyrics, and Mohammed Rafi was the playback singer. The song became a hit and is still played today. A more recent Hindi TV series, "Sai Baba" was made by Ramanand Sagar and broadcast by Star Plus in 2006, with 31-year old Mukul Nag in the title role. This series is telecasted on Star Vijay, a Tamil Channel, every Friday 7:00 PM to 8:00 PM. A TV serial on Sai Baba is telecasted on Star TV network every Sunday at 8:00 P.M. to 9:00 P.M. by Prof. C. V. Vijendra in Hyderabad. A movie named 'Guru Poornima' was released in telugu. 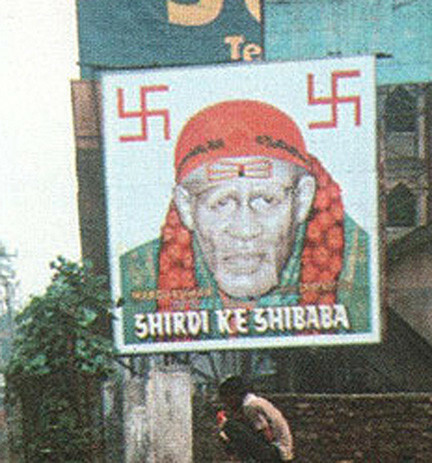 In this film, Sai Baba was the subject.